It is the time of year again, when America’s largest retailers release those critical holiday season figures and disclose their annual sales. A review of these numbers tells us a great deal about how most of the companies will do in the upcoming year. And while successful retailers in 2012 may add stores this year, those that have performed very poorly may have to cut locations during 2013 to improve margins or reverse losses. For many retailers, the sales situation is so bad that it is not a question of whether they will cut stores, but when and how many. 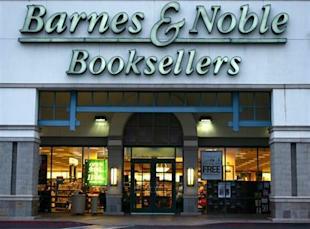 Most recently, Barnes & Noble Inc. (BKS) decided it had too many stores to maintain profits. 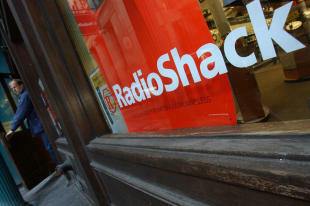 Its CEO recently said he plans to close as many as a third of the company’s locations. Several of America’s largest retailers have been battered for years. Most have been undermined by a combination of e-commerce competition, often from Amazon.com Inc. (AMZN) and more successful retailers in the same areas. Borders and Circuit City are two of the best examples of retailers that were destroyed by larger bricks-and-mortar competition and consumers transitioning to online shopping. These large, badly damaged retailers could not possibly keep their stores open. 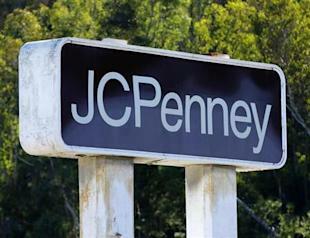 Currently, the best example of a struggling retailer is J.C. Penney Co. Inc. (JCP). The department store chain’s third-quarter revenue dropped more than 26% year-over-year, and its same-store sales fell by about the same. With J.C. Penney’s e-commerce sales slipping by an ever greater amount, it was left with nowhere to go for bottom line improvement other than deep cost cuts. Store closings can bring a retailer some relief and may not always portend its demise. Gap (GPS) announced in 2011 it would shutter 21% of its U.S. store base. It has since transformed itself into a much more successful clothing retailer. As the retailer completes the process of downsizing, its store operations likely will become even more efficient and its margins greater. Very few retailers get into sudden trouble. 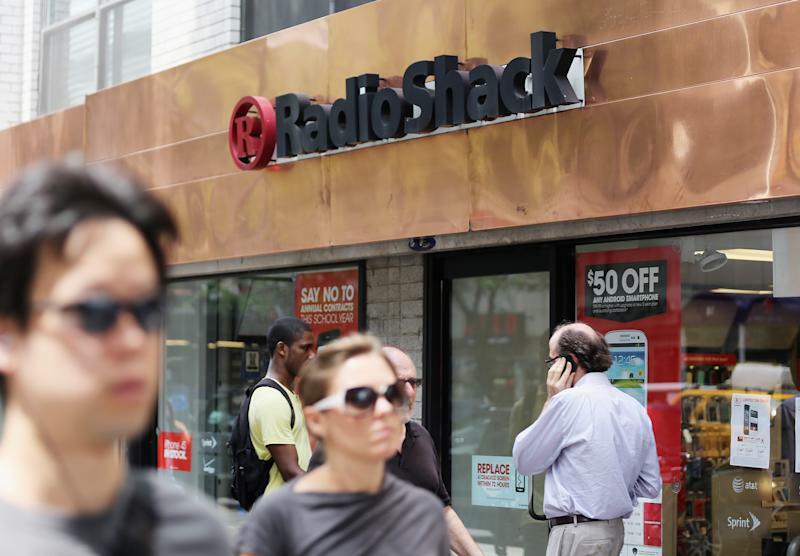 Chains like Kmart and RadioShack Corp. (RSH) have struggled for years just to stay in place. Their brands have lost much of their luster. Their stores have become old and their locations no longer attractive. The consumer’s perception is that the products they sell can be found elsewhere, usually at a cheaper price, and at retailers with better customers service and wider selections of products. 24/7 Wall St. reviewed the weakest large U.S. retailers and picked those that likely will not be profitable next year if they keep their current location counts. 24/7 analyzed the retailers’ store counts, recent financial data, online presences, prospects against direct competitors and precedents set by other large retailers that have downsized by shuttering locations. We then forecast how many stores each retailer will have to close this year to sharply increase its prospects financially, even if some of those location closings do not occur for several years. These forecasts were based on drops in same-store sales, drops in revenue, a review of direct competitors, Internet sales and the size of cuts at retailers in the same sector, if those were available. These are the eight retailers that will close the most stores in 2013. 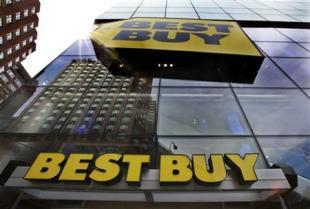 The holiday season was rough for Best Buy Co. Inc. (BBY). Same-store sales declined by 1.4% year-over-year, with international stores posting a 6.4% decline while U.S. same-store sales were flat. Companywide, the electronics retailer reported that holiday revenue had declined to $12.8 billion from $12.9 billion the year before. In the most recent completed quarter, during which same-store sales declined 4.3%, the company reported a loss of $0.04 per share. Best Buy has been plagued by customers “showrooming” — looking at products in the store and then purchasing them online — in recent years. Speculation persists that former chairman and founder Richard Schulze may buy out the company. 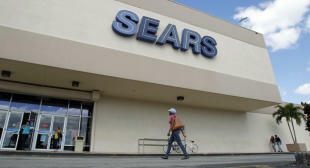 Both Sears and Kmart have been going down the tubes for a long-time, steadily losing their middle-income shoppers to retailers such as Wal-Mart Stores Inc. (WMT) and Target Corp. (TGT). Sears Holdings Corp.’s (SHLD) same-store sales have declined for six years. In the most recent year, same-store sales at the namesake franchise fell by 1.6% and at Kmart by 3.7%, compared to the year-ago period. The company is already in the process of downsizing its brick-and-mortar presence. In 2012, Sears announced it was shutting 172 stores. CEO Lou D’Ambrosio is leaving the company in February, to be replaced by chairman and hedge-fund manager Edward Lampert. Lampert has minimal operating experience in retail management. J.C. Penney has gone through a rough stretch recently. In the most recent quarter, same-store sales fell by 26.1% compared to the year-ago period. Even Internet sales, which are increasing significantly across the retail sector, have taken a turn for the worst, falling 37.3% in the third quarter, compared to the prior year. J.C. Penney sales have taken a turn for the worst since former Apple Inc. (AAPL) retail chief Ron Johnson took the helm at the company. Johnson’s plan, among others, has been to wean customers off of heavy discounting and simply give customers low prices. However, retail strategists and analysts have argued that Johnson’s plans have created confusion among customers and has been a further setback to any potential turnaround. Office Depot Inc.’s (ODP) troubles date back to years of competition against OfficeMax Inc. (OMX) and Staples Inc. (SPLS), as well as big-box retailers like Walmart. All three stores were dealt a blow from reduced business activity during the recession, as well as increased popularity of online retailers such as Amazon. The company’s North American division reported an operating loss of $21 million in the third quarter of 2012. 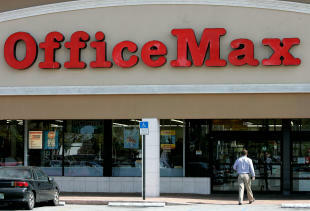 Office Depot plans to relocate or downsize as many as 500 locations and close at least 20 stores. In the third quarter of 2012, the company closed four stores in the United States, and same-store sales were down by 4% year-over-year. The move by customers away from print books toward digital books has hurt Barnes & Noble Inc. (BKS). Same-store sales during the nine-week holiday season fell by 8.2% year-over-year. The bookseller has tried to offset the declines in physical book sales with its Nook e-book reader device, but sales of that device fell 13% compared to the previous year. The company already has begun cutting down the number of its stores in the past several years. In a recent interview with the Wall Street Journal, the head of the retail group at Barnes & Noble said he expected the company to have just 450 to 500 retail stores in 10 years. 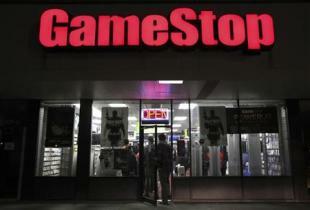 In November, just as the holiday season was in full swing, GameStop Corp. (GME) announced it would close 200 stores in 2013. The video game retailer, hurt by growth in mobile gaming at the expense of console gaming platforms, had a 4.6% year-over-year decrease in revenue, as well as a 4.4% decline in comparable-store sales over the nine-week holiday period. For the third quarter of 2012, the most recent quarterly release, gross profits fell at GameStop’s three core product segments: new hardware, new software and used products. OfficeMax, like rival office-supply stores such as Staples and Office Depot, has been hit hard by both online competition and lower sales for technology products such as personal computers. 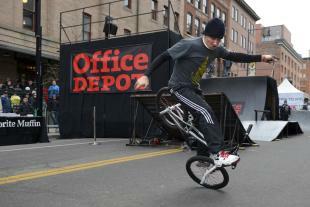 In the third quarter of 2012, OfficeMax reported that same-store sales in the U.S. fell by 2.6%. Midway through the fourth-quarter of 2011, the company announced that it would seek to close 15 to 20 stores every year for the next five years. In addition, the company has been in the process of downsizing its square-footage presence by moving into smaller locations. Earlier this month, RadioShack’s long-term prospects as a viable company took another hit when its partnership with Target ended after neither side could come up with a mutually beneficial deal. The company had operated mobile kiosks at 1,500 Target locations across the country. Shares of the consumer electronics company are down by roughly 68% over the past year. The company recorded an operating loss of nearly $60 million in the third quarter of 2012. Same-store sales in the quarter dropped by 1.6% year-over-year. Revenue in the quarter fell by 3.8% year-over-year. Between 2010 and 2011, the company closed 2.2% of its existing locations — more than 120 locations in all.